Back in February, I made a custom Valentine for my next door neighbor in my hometown. She wanted me to do something unique and special for her outdoorsy boyfriend. It's hard for me to believe she's so grown up! So, inspired by young lovers carving their initials in tree trunks (if I'm being honest I was thinking of that scene in Disney's Robin Hood where RH+MM initials are carved in the tree and Maid Marian is telling those cute little rabbits about her love for Robin Hood. 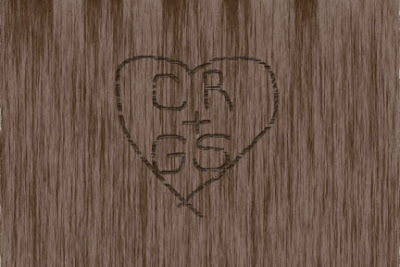 I digress), I created a wood grain effect and "carved" the couple's initials. Looking back on the design, this led me to think about the raw beauty of wood grain and I began my search of finding some interesting wooden pieces worthy of calling attention to. 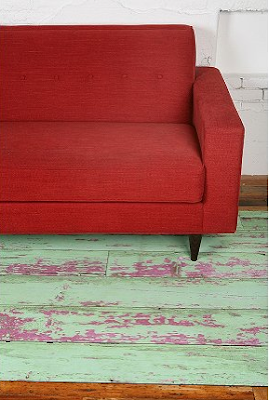 Urban Outfitters has a beautiful vintage-looking Wood Jewelry Cabinet that would be striking in room with pale earthy colors and this Trompe L'Oeil Floor Mat Photos from Urban Outfitters site. 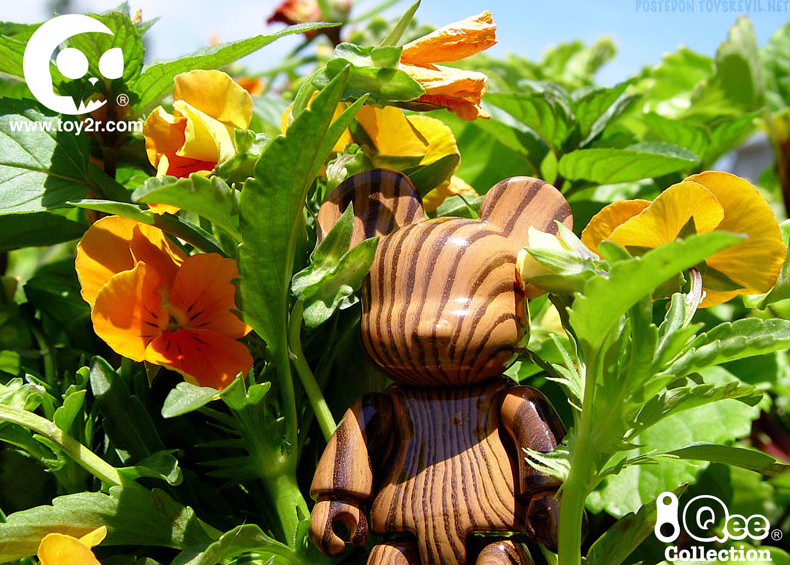 This odd little Wood Grain Style Qee is definitely a cutie even if he isn't very cuddly-looking. Photo from Toys R Evil site. 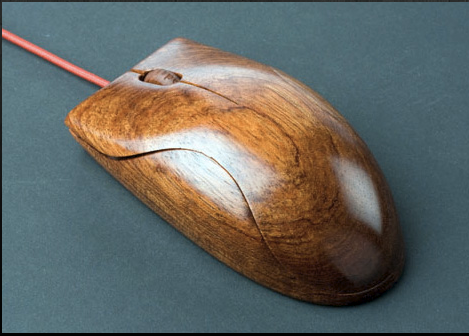 I imagine this Wooden Mouse by Yanko Design to sit regally on an oversized mahogany desk in a home office. It's almost too pretty to use! 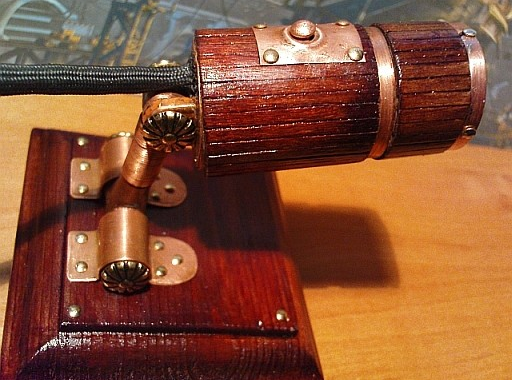 Photo from Yanko Design site. I have been seeing a lot of laptop decals lately adding a lot of personality to computers. This laptop decal would look great with the wooden mouse. 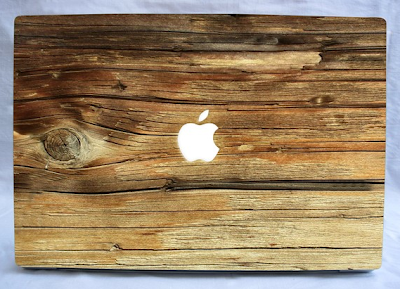 It makes an otherwise sleek and modern Mac feel rustic. 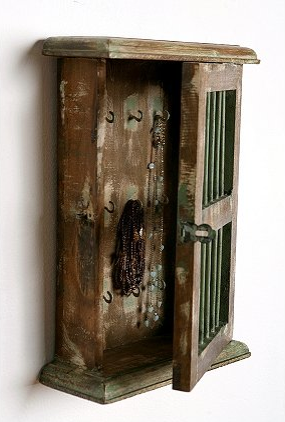 Photo from SistersDecal on Etsy's site. This was so cool, I couldn't leave it off. This Steampunk Webcam takes Skyping to a different era. Photo from blobson on Etsy's site.